In February 2014, Highasakite released their second full-length album, Silent Treatment. It was a mix of unusual, dark and occasionally anthemic pop music, tied together by the voice of lead singer Ingrid Helene Håvik. It topped the Norwegian album charts on its release but, incredibly, it then went on to stay in the Top 40 for a record 94 consecutive weeks, breaking Odd Børretzen and Lars Martin Myhre’s previous record. The initial success of Silent Treatment was welcome but unexpected. “I can remember it coming in at number one and being overwhelmed by that, and that it had stayed for two weeks at number one. Normally you go in at number one and drop out the second week. We stayed for two weeks at number one. That was insane,” says Lo. Although it did drop out of the charts for the first time, it re-entered at the end of 2015. The longevity of the success was even more incredible. So incredible that they forgot that it remained in the charts for month after month, according to Lo. “There was this moment when we sort of forgot that it was still there. But then when we started thinking about that record we paid more attention again,” he said. Celebrations were limited to a few phone calls and messages. “We were in different parts of the country and just working on the album and preparing for this tour. So we didn’t have a proper celebration. It’s hard to know how to celebrate something like that, but we were really, really happy and talked a lot about if online to each other,” Lo says. The same is absolutely true of their third just-finished full-length album, set for release in May 2016 through Propeller Recordings. They did not set out with the intention to match or better the success of Silent Treatment. “You can’t go round thinking about that,” says Øystein Skar. “You just have to do your thing and hopefully it will be alright.” The focus is to write and record music that they like as a starting point. “That’s what we did with the last album. We made our music the best way we could and the rest is up to the listeners to like it or not. And that has sort of been the focus on this album, to go out and record an album with a goal of topping the old one is not a healthy way of thinking when you’re making an album,” says Lo, in agreement with his bandmate. The success of Silent Treatment has also afforded them live opportunities. 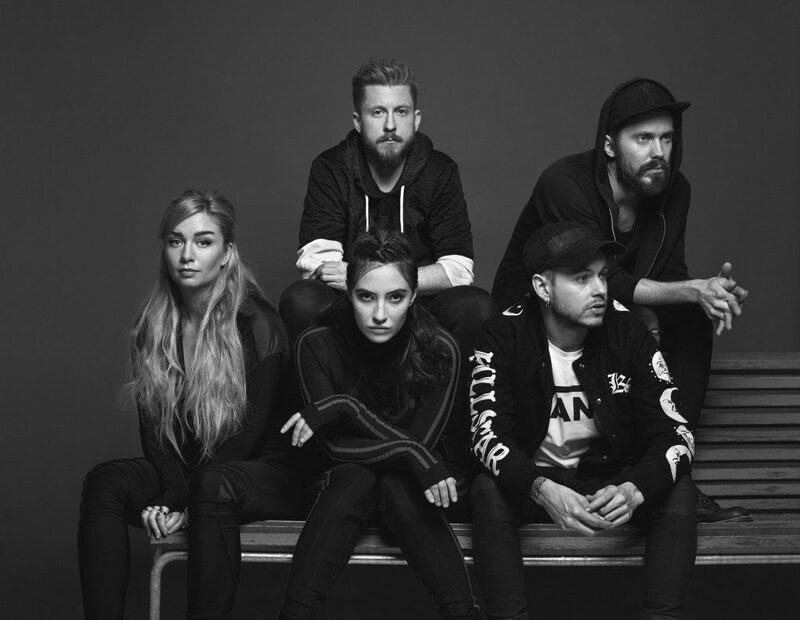 In the past 18 months they have become the regular support act for Icelandic quintet Of Monsters and Men, playing sold-out shows across some of America’s grandest and largest venues. No bad thing, especially when you sell out of your entire stock of albums three days into the tour. “We’ve done so many huge and famous venues, so it’s been awesome,” adds Lo. But a few months’ respite over the winter has been welcome. During that time, they finished their upcoming album. “Of course we are really grateful to be able to tour, because before Highasakite we all played in bands who played not popular music and it was much more difficult to tour,” Skar says. Before the album’s release their focus will turn to the UK, for a one-off show at London’s Hoxton Hall on February 9, one of the capital’s best venues. Unfortunately, that show has already sold out. However, if you didn’t get your hands on a ticket for the February concert, you’ll get a new chance in May, as the band returns to England to do two more concerts. The first in Manchester on 23 May, the second in London on 24 May. After several shows with Of Monsters and Men in the UK – including at the 4,900 capacity Brixton Academy – the reception over here has been warming. “More and more people are signing along and you can just feel the response in the audience becoming bigger,” Skar says.